If you’re looking for network equipment, you may be concerned about shelling out for brand new tech. We take a look at why buying refurbished Cisco equipment might just be the solution you’re looking for. Finding good IT equipment is kind of like looking for a car. You don’t know exactly what you want, you just know you want it to be the latest and greatest model with every feature under the sun. Sometimes you don’t even consider the used goldmine sitting off to the side. Buying a new car seems like a great idea until you see the price. It’s the same way with buying IT equipment. There is a cheaper option. Here are just some of the reasons why you should consider refurbished Cisco equipment besides price. A lot of new Cisco equipment comes with a 90-day warranty, which we can admit isn’t anything too special but it’s not bad. You might get a bigger break with some products but this is the standard. The reason why you might get a better warranty by buying refurbished Cisco equipment is that a lot of vendors will offer a good one on the products they provide. You can even find some that will give you a lifetime warranty. This will give you a great product and some peace of mind to go right with it. When you order directly from Cisco’s website or another big name manufacturer there will inevitably be a waiting period between placing your order and receiving the equipment; especially if the tech has to be made to your specifications. When you order from a pre-owned dealer this wait time is no longer an issue, in fact, most of them can ship out your product the same day you place the order. If you’re new at buying equipment and don’t know exactly what to look for a reseller can not only guide you in making the right equipment choices for your company but also provide a complete infrastructure for you. Most are highly trained with the knowledge to help you with anything and everything that you will need. Now that’s great customer service. When you buy from a well-known vendor you can rest easy knowing that the product will be in good working condition. Trusted second-hand dealers thoroughly test all of their equipment before it comes to you. Cisco only spot checks every 50th or 100th piece leaving their facility. Most new manufacturers won’t tell you the exact failure rate on new products where second-hand vendors will. Make sure you do your research to find the vendor with the best reviews and track records for testing their products. Look for a reliability rating of 99.5 percent or higher. There is a possibility that your company could be at the in-between phase where you need some new equipment, but you aren’t ready for a full-on upgrade yet. Upgrading before you’re ready can actually cost you money in the long run because you’re replacing parts before you get the most use out of them. If you upgrade every three years you will sadly be left with a lot of useful equipment that hasn’t reached the end of their life yet. You put yourself in danger of lowering your ROI when you do this. Buying used machinery allows you to buy parts cheaply at your own pace and replace the parts as needed. If you have spares on hand in the event that a part breaks, this will give you peace of mind. Unless you have a bottomless pit for a budget though, buying new parts for this can be impossible. If you decide to go with refurbished Cisco equipment, however, having spares on hand becomes a lot more manageable. It’s a less costly, dependable way to always be prepared for the worst. Unlike our used car scenario in the beginning, networking equipment doesn’t take wear and tear over time and eventually break down. Once networking equipment is broken in it usually stays the same quality throughout its life. If you buy new the product hasn’t gone through this process yet so, it’s still sort of a wild card. Used equipment has more reliability because it’s been through this 30 day trial period and has just been refurbished. There is less mystery about how it’s going to act. Companies like Cisco SMARTnet work wonders, but they can charge quite a bit. Before you get swept up in the hype, question if you can get the same service but cheaper. If you do your research you will find that there are a lot of companies that offer the same service, but are up to 50 percent cheaper than SMARTnet. Buying refurbished Cisco equipment not only lets you get your product cheaper but also keeps functional equipment out of the landfills longer. This will reduce waste and your company will be contributing to helping the environment. In a world where going green is stressed like never before buying used equipment will also improve your reputation with your customers. Buying refurbished Cisco equipment can save you money in the long run. It gives you more options to just have spare parts on hand, get them delivered when you need them, and avoid upgrading your network before you’re ready. It’s a great way to get what you need and help the environment by not tossing out a perfectly healthy product. If you’re interested in getting rid of your old equipment don’t throw it away! Sell it! Visit our website to get started. 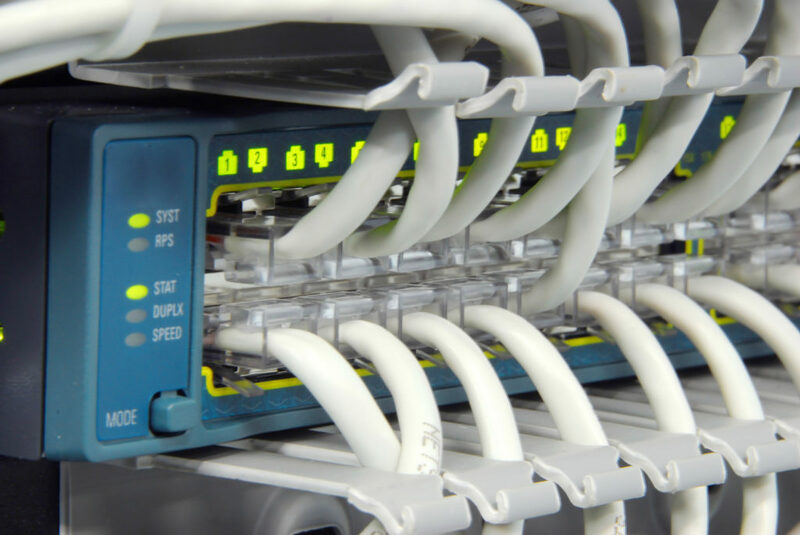 Frequently Asked Questions About Buying Refurbished or Used IT EquipmentManaged vs Unmanaged Switches: Which Is Right for Your Business Network?